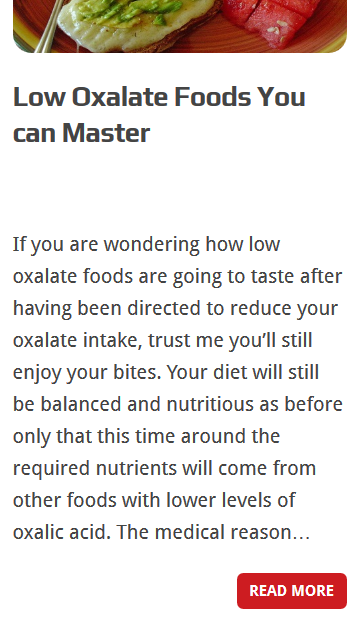 Here you’ll learn everything about your oxalate health! 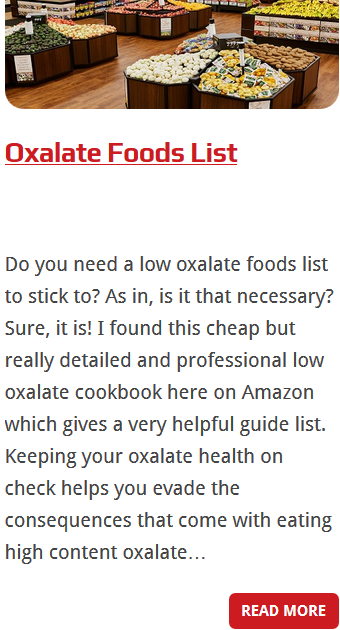 We research and compile information about low oxalate foods and review food supplements to help our readers stay in good health and shape. It’s our work to dig deeper into all resources, validate, compare and contrast, to provide the most accurate information to our readers because we value them so much. 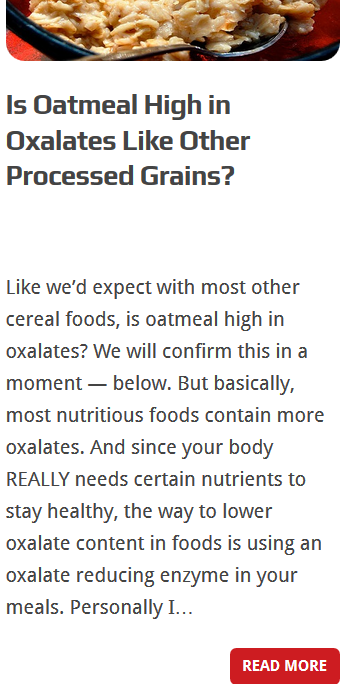 While we try as much as possible to ensure the accuracy and credibility of the information provided here, this should not be taken to replace professional medical advice. But mark you, we offer the best and we ensure every bit of advice comes from the most trusted resources.